Tammie E. Quest, MD, director of the Emory Palliative Care Center and Montgomery Chair in Palliative Medicine, has been named one of the 30 most influential leaders in hospice and palliative medicine. In celebration of 30 years serving the profession, the American Academy of Hospice and Palliative Medicine (AAHPM) asked its 5,000 members to nominate leaders – or Visionaries – in the field. Members then voted for the top 10 among the 142 nominated. Quest is one of 30 physicians, nurses and researchers recognized by peers for their important role in advancing the medical specialty of Hospice and Palliative Medicine. 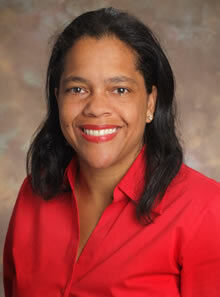 She is a professor in the Department of Emergency Medicine, director of the Emory Palliative Care Center in Emory's Woodruff Health Sciences Center, and holds the Montgomery Chair in Palliative Medicine. She is president-elect of the American Academy of Hospice and Palliative Medicine. She is board certified in emergency medicine and hospice and palliative medicine. Quest is a nationally recognized expert in palliative care in the emergency setting and has a lifelong dedication to integrating emergency medicine and hospice and palliative medicine. She is director of the NCI sponsored Education in Palliative and End of Life Care –Emergency Medicine (EPEC-EM) Project, and director of the Center to Advance Palliative Care's (CAPC) Improving Palliative Care in the Emergency Department (IPAL-EM) project. In reflecting on this honor, Quest says, "This is a tremendous honor to be recognized by our field. I have always let my passion to improve the patient and family experience of serious illness guide my work – in all settings. I was born and raised as an emergency physician dedicated to helping those most in need. This was and is inspirational to my life's work, as I remain drawn deeply to the calling to relieve pain and suffering of those with serious illness and end of life needs. While we often call it work, I am fortunate that I have never really worked a day in my life. When you live your life's passion to help make our field better, you are not working, you are just living and giving. That's where I always want to be." "This program recognizes key individuals who have been critical in building and shaping our field over the past 30 years," notes Steve R. Smith, AAHPM CEO. "These individuals represent thousands of other healthcare professionals in this country who provide quality medical care and support for those living with serious illness -- each and every day. More information on the Visionaries project, including the list of 30 Visionaries can be found on the Academy's website www.aahpm.org. The American Academy of Hospice and Palliative Medicine (AAHPM) is the professional organization for physicians specializing in Hospice and Palliative Medicine. AAHPM's 5,000 members also include nurses and other health care providers who are committed to improving the quality of life of seriously ill patients and their families. For more than 30 years, the Academy has been dedicated to expanding access of patients and families to high quality palliative care, and advancing the discipline of Hospice and Palliative Medicine, through professional education and training, development of a specialist workforce, support for clinical practice standards, research and public policy. Learn more at www.aahpm.org or their patient website, www.PalliativeDoctors.org.